OXID eXchange | DHL Shipping incl. Preferred Delivery Service 3.0.4 | Stable | EE, PE | 4.7.x/5.0.x - 6.1.x | Module, Themes, Language Packs direkt herunterladen! DHL Shipping incl. Preferred Delivery Services (at home + locations) is the official module from DHL for displaying DHL packstations and branches during the OXID checkout process. The plug-in extends all forms for the indication of the delivery address in the frontend. The addresses of Parcelstations and Post offices can be easily found via the integrated location finder and added as delivery address with only one click. If your customer indicates a Preferred location or neighbor, shipments will be deposited there if he is not at home. 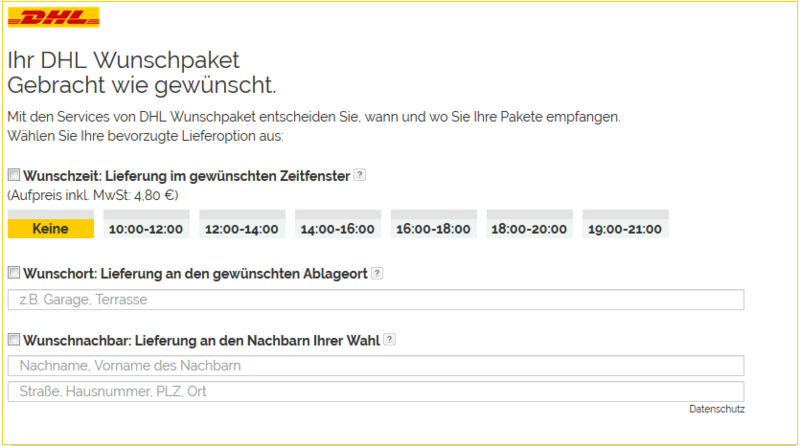 You can also offer your customers the possibility to choose their Preferred day or time for the delivery. The integration of the plug-in in your online shop guarantees that you are offering the latest preferred delivery services of DHL. As the delivery addresses are automatically processed, the risk of false addresses and resulting undeliverable shipments is reduced. The flexible services lead to a better delivery rate at the first attempt and thus increases customer satisfaction, binds existing customers and increases order frequency.For the detailed documentation click here. New: From version 2.1.0 on the plug-in supports the flow theme besides the azure theme.The plug-in is available for EE, PP and CE. You can find the CE plug-in here. For technical support, please send an e-mail to [email protected]. For a complete installation a “Google Maps API Key” is required. The plugin contains a tracking pixel due to reporting purposes of preferred services. Its output is the URL where the preferred services are integrated via plugin as well as the number of plugin calls. There is no personal data created or collected. DHL is present in over 220 countries and territories across the globe, making it the most international company in the world. With a workforce exceeding 340,000 employees, we provide solutions for an almost infinite number of logistics needs. 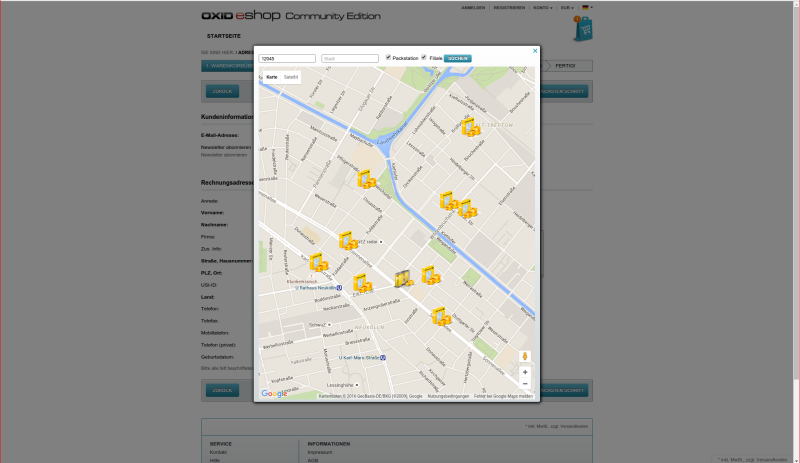 In cooperation with the Derksen mediaopt GmbH OXID modules are built and released.